Stunning large 1 bedroom unit in centrally located Fairview. Completely upgraded throughout with a great open concept layout that is perfect for entertaining. Enjoy the beautiful kitchen with custom cabinetry, quartz countertops, S/S appliances and marble backsplash. 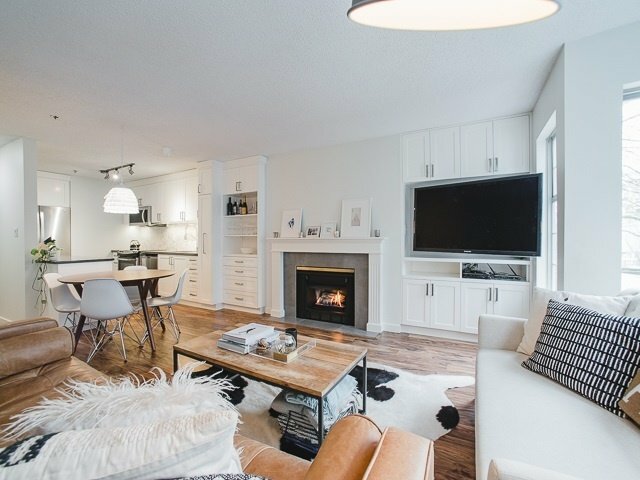 Spacious living area with a great built in media unit and gas fireplace. Huge master bedroom with custom built in walk through closets. 75 SqFt outdoor patio off of the living area that is perfect for the summer months. Walking distance to everything Oak and Cambie St have to offer.